Prior to the Optimus G, LG was really only known for their low-end and mid-range devices. Part of that was because of all the mid-range devices they were putting out on Verizon, for example the Lucid and Spectrum line of devices. Last year, I reviewed the LG Lucid 2, and was quite impressed with that device. Now Verizon and LG are at it again, launching the LG Lucid 3 today. The LG Lucid 3 is on sale for free on contract or $300 full price. As far as specs go, we’re looking at a 4.7-inch qHD display (that’s 960×540 in case you’ve forgotten), 8GB of internal storage, 5MP camera on the back, and it’s running Android 4.4.2. It also has a 2440mAh battery inside which is pretty large for this device. As a comparison, the HTC One has a 2600mAh battery with a bigger display, more pixels and a faster processor. So you should be able to get some pretty decent battery life out of this one. The LG Lucid 2 had a 2400mAh battery last year, with the same size display, and it got amazing battery life, in my testing. The LG Lucid 3 is available from Verizon’s site right now and should be hitting retail stores in the next few days if they aren’t there already. It’s a pretty decent mid-range device. If the Verizon Moto G had LTE connectivity, I’d recommend that over the Lucid 3. 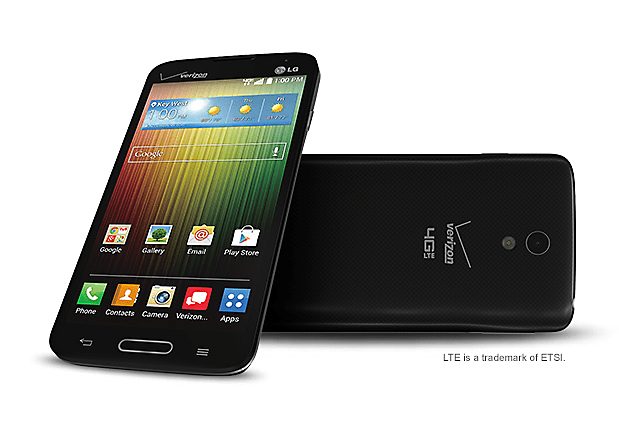 But given the fact that the Lucid 3 has LTE and a larger battery, I’ll have to recommend it to Verizon users. LG has really done well in the battery department lately. The LG G2, and G Flex both had amazing battery life. And I’d expect the same from the Lucid 3. Especially considering the specs on this one. How many of our readers are going to run out and grab the LG Lucid 3 from Verizon? Be sure to let us know in the comments below. The post Verizon Launches the LG Lucid 3, Free on Contract or $300 Off Contract appeared first on AndroidHeadlines.com |.